Firstly, may I take this opportunity to welcome you to Tewkesbury School. I hope that your child is looking forward to their first day on Tuesday 4 September. 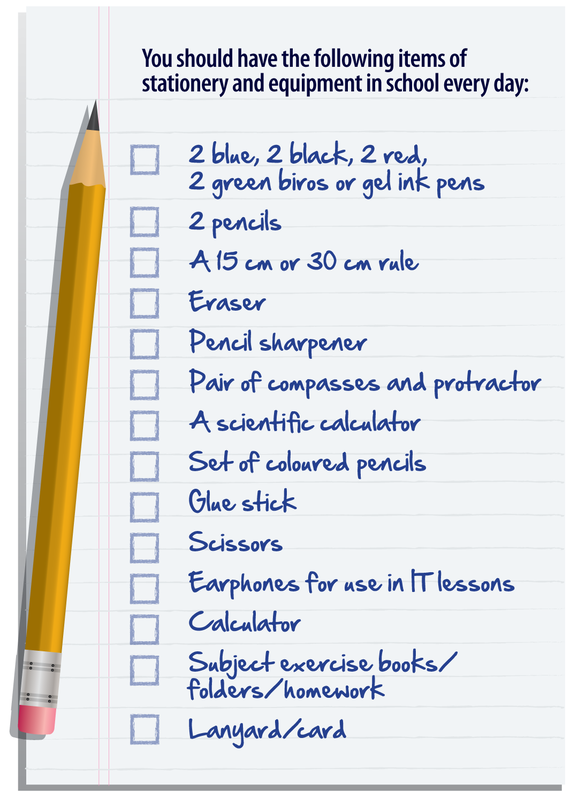 Here are a few useful reminders to help you to make the final preparations for the start of term. On the first day, students in Year 7 will be the only year group in school and will follow an induction timetable. This is to help them settle in before the other students return. They will need to wear school uniform and arrive at school by 8.35am and should report to the central tennis courts and line up in their House group. There will be staff and helpers there to meet them. Please can I ask that students bring with them their ‘Moving up to Tewkesbury School Student Handbook’ which was issued in your welcome pack, as it contains lots of useful information to help them in their first few days. All students were given an A4 size yellow exercise book which was started at the end of Y6. These will have been collected from the local Tewkesbury primary schools, but if you are joining us from a primary school that is further away, please be sure to bring this yellow book with you on Tuesday. Uniform and Equipment: We're really looking forward to seeing our new students in their smart uniforms! Your child will need to bring their pencil case with them. Pencil cases filled with all stationery (costing £6) and individual items of stationery can be purchased from our Finance Office. These are on sale throughout the year, so items can be easily replaced. Calculators are also available costing £8. There is no need to send any PE kit or swimming kit with your child on the first day of term or on their first timetabled PE lesson. The first lesson is spent explaining what happens in PE and what they will need to bring for this term. Please also take note of the uniform regulations in relation to hair style, hair colour and piercings. If your child would prefer not to have this meal then please ensure they have a packed lunch. They will also need food/snacks for morning break and enough to drink for the day (there are water fountains available). Catering cards: you may also like to send in cash for your child to credit their cashless catering card to buy school meals. The lanyards, cashless catering cards and individual timetables will be issued on Tuesday morning. Students will need to bring the lanyard and card to school every day as this is used to buy food from the canteens, door access into blocks and for printing. The cards can be credited by students either using the cash top up stations located in the canteens or online by parents using ParentPay. Please contact our Finance Office if you have not yet received details about setting up ParentPay. School Photos: all Year 7 children will have a photo taken by Academy Portraits on the first day. Proof cards to order photos will follow via your child in a few weeks. Homework: we use the online platform Class Charts to set and manage homework and to record behaviour, rewards and sanctions for students. It is used for all year groups by all teachers in all subjects. Parents can monitor this at home by logging on to the website to view behaviour points, homework details and deadlines. You will be issued with a log-in and password at the start of the new term. Timings of the day: the school day starts at 8.40am and will end at 3.25pm. Lunchtime is 12.55-1.35pm. Please ensure that your child knows their arrangements with friends and family about meeting places and how they will make their way home from school. A reminder for parents who are new to the school that we finish at 2.30pm on Fridays. A few more top tips for parents! Double-check that everything is labelled – PE kit especially! Put the label in an obvious place where it can be easily seen. Make sure pens, drinks bottles and shoes are labelled and dissuade your child from lending anything to others. We have a lost property area located at the Student Centre. Routine - Go over your new morning routine and check that your child is confident with their route to and from school. Get the bus pass/cash ready if you are using the bus. For anyone cycling to school, a bike lock is a must. Phones – It’s worth your child having a basic, non-expensive phone (with a camera) for communicating with you. There are often last minute changes of plan if children attend clubs and after school activities. Phones should be turned off in lessons. School lunches – your child will get hungry! We often see children eating their entire packed lunch during break time. Be prepared for the extra food shopping you will need to keep them going! We would suggest your child eats a hot meal in the main canteen at lunchtime. These meals are excellent value for money. Having a school meal is good idea if your child is staying after school for a club or sports fixture. Please ensure your child brings a drink to school. Lockers – try to encourage your child to get a locker as soon as they can at the start of term. Tutors will help with this. Bring a padlock into school. Clubs – encourage your child to join as many clubs as possible. Details are given out on the first day at the Freshers' Fayre. Remember that there is a homework club where our Librarians will help with research and where work can be printed off. Keep the next few weekends free of plans - your child will be tired! The new routine, earlier mornings, plus lots of walking around the campus takes a bit of getting used to. It might help to keep the next few weekends relatively quiet at home. Sore feet! At the start of term, all the extra walking in new shoes can result in blisters. Pop a few plasters in your child's bag - just in case! Cash – a stash of loose change at home will be essential! You may find that your child will ask you for money to buy such things as ticket for non-uniform, a book cover, money for a cake sale, a charity event, a friend’s birthday gift….. the list goes on! Tewkesbury School App – In September we will be introducing our new school app. More details will follow about how to download this. It's only natural for you to feel emotional about your child starting at secondary school but you'll be surprised at how quickly they will settle in and at their new found independence. However, if you do have any other concerns, please get in touch. 19 September - 5.45pm Year 7 Learning Success Evening. Details to follow. Thank you for your support. If you should have any further queries, please do not hesitate to contact the school. I look forward to meeting you again in the new term.